With the advances in medical sciences and technology, there's often no longer the need to "Send it to the lab, stat!" to get up-to-date info on blood chemistry. Soon, readings will be given at point of care in a few minutes, if not seconds. Todd consults with Brian on their latest blood diagnostic device. 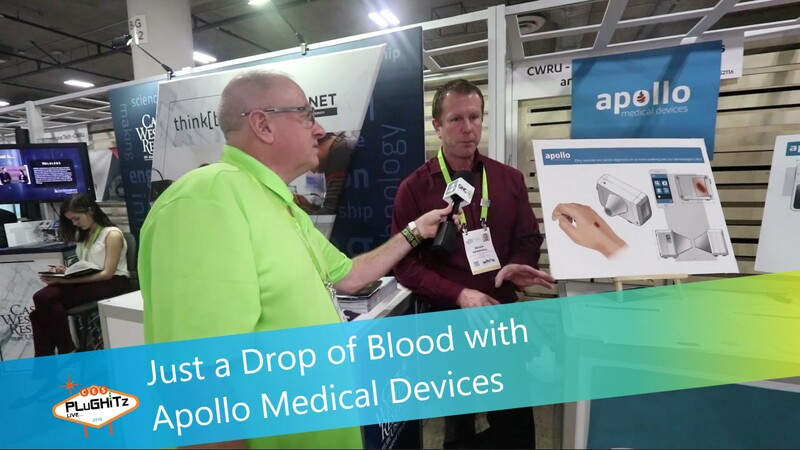 Apollo Medical Devices has been working with Case Western Reserve University in Ohio to develop a point of care blood diagnostic unit that uses a drop of blood to give information in seconds on eight key indicators such as sodium, potassium, pH and blood oxygen. The new devices should be in production with 12-18 months and cost will be in line with industry norms for the test.